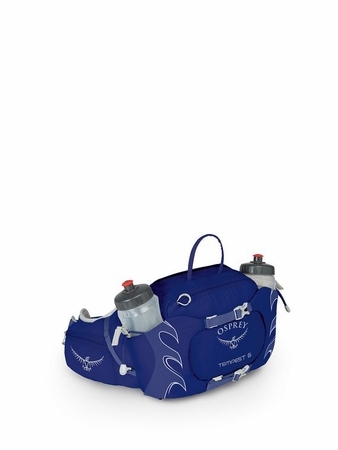 "Heading out for a day hike where all you need is water to quench your thirst and room for a few essentials? Say hello to the Tempest 6. Seen at not just the start, but more importantly the finishes of 50k trail races, mountain bikers, and on bird-watching trekkers alike, it's the perfect solution for keeping your urban or wild journey simple so that your focus remains on the important things. The experience itself. Body hugging women's fit BioStretch™ hipbelt keeps the load stable two included 570 ml BPA-free PackBottles™ ensure that the last thing you'll be is thirsty on the trail. Carry an extra layer with the external StraightJacket™ compression straps, fill your bottles and hit the trail, path and beyond. CONTINUOUS LUMBAR-TO-HIPBELT WRAP -Users can't feel seams that don't exist, so we left them out. Our updated Talon/Tempest hipbelt makes it easier to focus on the journey instead of the pack on your back. O/S - 366 in3 / 6 l - 7.9h x 11.8w x 8.3d in. -0.728 lbs."